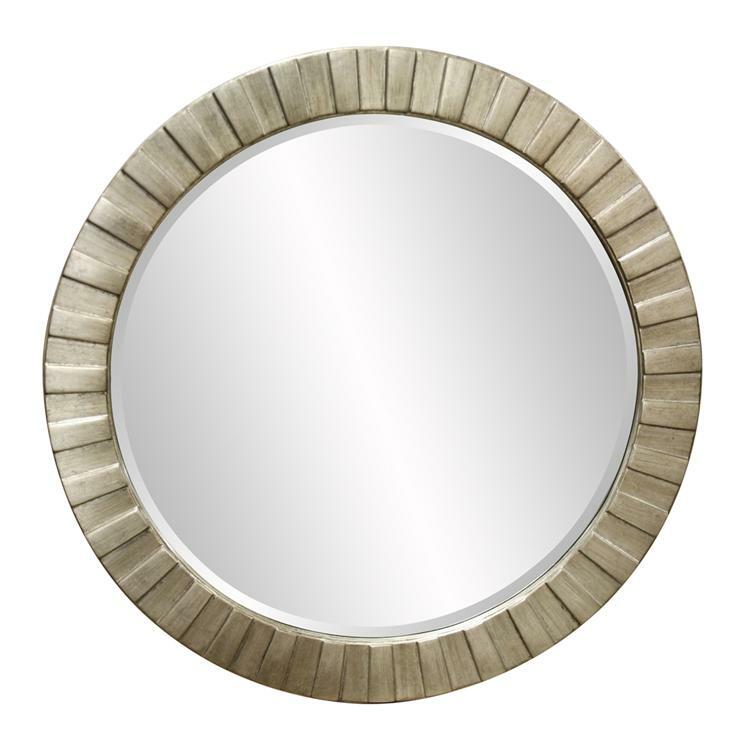 The Somerset Mirror is fashioned from resin into a pleasing round frame. The frame is characterized by stepped bars radiating around the glass creating a subtle sunburst effect. It is finished with a splendid silver leaf enhancing the Somerset Mirror's Contemporary look. This is a perfect accent piece for any design. Customizable for larger orders.